Hang on to your hats! The positive, organic sound and fun ventriloquism from this musical Daddy is something kids of all ages will be growing on for years to come! 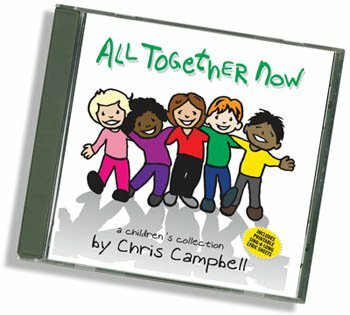 Chris Campbell is a singer, songwriter, musician, and ventriloquist who has released two CD's for children and developed a loyal fan base with his interactive family shows and fun characters for kids. Don't miss out on the experience! Chris Campbell has entertained our preschool families on several occasions and is by far one of our most popular guest musicians! His music is always fun, lively and appropriate for all ages, and the children delight in singing and dancing along with him. Chris is a very friendly, dependable entertainer - easy to communicate and coordinate with! I would highly recommend him for any family oriented / intergenerational program. Chris is a great entertainer. Chris did back to back performances for our Annual Virginia Political History Day at the University of Virginia Center for Politics. Each year we host kindergarten through sixth grade children from YMCA, Boys and Girls Clubs and ACAC for a day of learning through fun activities. Chris has so many educational songs that were perfect for this age group and best of all he keeps the children engaged. Chris is an entertainer in every sense of the word. He kept the crowd of kids (ages 4-12) engaged throughout his entire show. He even handled some challenging behavior issues with grace and professionalism. I would not hesitate to reccomend Chris for any children's event that you have. Oh and my daughter still talks about Vern and Bernie. Chris Campbell's show was excellent. He is a fun performer and a talented singer/songwriter. The audience made up of elementary age students and their families thoroughly enjoyed the show and were fully engaged. Chris Campbell knows his stuff and he knows how to engage with his young audience. He is really good at what he does and I am so glad that I booked him for my corporate event. Everyone who brought their young kids was so amazed and they are keep saying, this was the best party thy ever been to. So, if you are deciding whether to book his service or not, do not think twice about it, every penny you spend on his service is going to be worth it. Chris Campbell is a true entertainer! Our school PTA had the pleasure of hosting Chris as our musician and Master of Ceremonies at our Fall Carnival again this year. His songs are fun and educational, he interacts with the crowd, and we always get so many compliments for having him at our events. Our preschool booked Chris for a show and our little friends LOVED it! He was very energetic, fun and had all of our preschoolers engaged. I highly recommend him for your next event! Music, Laughter and Lots of Fun! Chris came to our preschool on two different occasions. This time, he brought back lots of original songs and included a few holidays songs by special request. Both Chris and his Dad, Mr. Pete, kept the children and teachers attention from the start. There were Puppets, songs to get everyone on their feet and lots of giggles from the children. I would highly recommend a visit from Chris Campbell for your school too! Chris Campbell does a fantastic job entertaining children with his guitar playing and great singing voice. His songs are a lot of fun and certainly kept everyone involved and entertained. He also does ventriloquism, no lips moving here, which will leave you laughing and wanting more. He was on time, reasonably priced and personable. We'll definitely be asking him back again and again. Chris' performance was such a delight! He has a way of capturing the audience's attention and interacting with them in the most unforgettable way. From his puppet friends to his catchy songs and silly jokes, everyone was left with the biggest smile on their faces, no matter how young or old. We had Chris come out to our library toward the end of our summer reading program. He performed for approximately an hour singing songs, playing his guitar, using various puppets, and with his dad as back-up. He was extremely engaging both for the children and the adults. In my opinion it's hard to be good at humoring both children and adults but Chris was able to do just that. His original songs were catchy and relevant and his performance got the kids up and dancing. Several families asked when he could come back! I would highly recommend him for a performance at your school or library. Looking for a great entertainer for your preschool? Chris Campbell performed for our 'end of year' preschool family event. Children, parents and teachers loved his fun filled music that they could sing a long with. He kept everyone involved and it was a Great show! 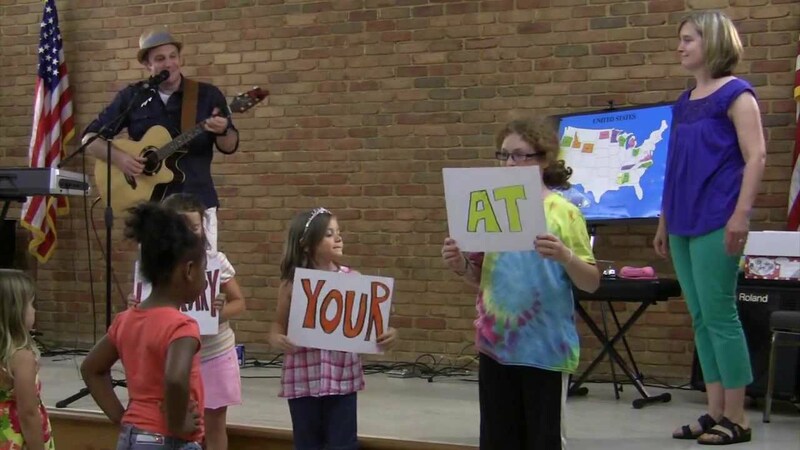 On Saturday, June 10th, Enon Library (Chesterfield County Public Library) hosted its third concert in the “Spring into Music” series funded by a grant in cooperation with the Chesterfield Cultural Arts Foundation. Our performer was “Mr. Chris” from Chris Campbell Music for Kids. We had a great turn-out of twenty-eight attendees of all ages from infant to grandparent. Fortunately the weather cooperated, and we held the event outdoors. Mr. Chris was accompanied by his father, Mr. Pete, on percussion. His music was kid-friendly, and he encouraged audience participation with movement and vocal responses. The children especially enjoyed his talents as a ventriloquist interacting first with his wild singing bird puppet named Vern and later with his magical sneezing dragon puppet named Bernie. He even sang a duet with Vern! From children’s comments that I overheard, I believe that was their first encounter with a ventriloquist. For two years now, Mr. Campbell has kept an entire grade level of first graders captivated and entertained! I love how he gathers information and incorporates our school in his acts. We look forward to using him year after year! Chris did a great job with a party that we hosted. His songs were great and the "characters" kept the kids engaged. We recently had Chris perform at our daughter's 6th birthday. The kids had a great sing along time with him. But what really set him apart as an entertainer were the puppet shows that interspersed his musical numbers. Christ is a gifted ventriloquist, and he had the kids rolling in the aisles. A great time was had by all! We contacted Chris last minute to schedule him for an upcoming reading night for our K-2 students. He was very quick in his response to my request, and he was able to schedule a visit despite being last minute. The students and their families loved Chris' entertainment. Watching the families interact with each other was just priceless. The holidays can be a stressful time for families, so we were thrilled to have a stress free event for parents to just come and enjoy a show. Chris had everyone laughing. The teachers loved watching the kids sing and dance, too. Chris did a wonderful job incorporating reading into his performance so that our students could also understand the the importance of reading. I would highly recommend Chris for any event, and we wiill definitely be using him again. Chris Campbell keeps the audience engaged with his singing and funny jokes. His show was enjoyed by all! Mr. Campbell was a awesome performer. He kept the children involved and entertained the entire time. They really loved his "friends" whom sung with him during the show. I would love to see him back and I'm sure they would too! Chris has visited our child care center several times. His love for music and children shines bright! The children love his fun music and he makes is so entertaining. I would highly recommend Chris. He is professional, friendly, family-oriented and dependable. Chris Campbell comes every year for our summer camp. The kids love him. He keeps them singing and dancing and just does a wonderful job. Chris brought his gifts as a talented musician and singer, along with his unique ability to work within the time restraints and the theme of the evening, to lead our worship at 20:20 Vision Ministries in Charlottesville, Va. on June 2nd. Our ministry highly recommends Chris to any church or ministry that is seeking God's blessings on the service. Chris performed for my son's 3rd birthday June 7th. It was fantastic! The entire preschool, children and teachers, had a ball singing and dancing. My son keeps asking, "when we will see Mr. Chris again"? Thank you so very much! Music and laughter was the best birthday gift! Great addition to our Fine Arts Fair! Chris did an aswesome job with our kids! They were engaged, excited, and definitely entertained. His songs incorporate a lot of educational information and usually result in a lot of laughs. We look forward to him participating in other events at our school! Chris did an amazing show for our Family Celebration! The kids were engages, laughing, singing, and having fun. He was also very professional in regards to planning the event and communicating beforehand. I have hired many children's entertainers for events and Chris tops my list! I give him my highest recommendation! The children were eager for what was coming next. Chris and his show were perfect for our Lively Arts Series that we host at our facility, The Other Barn. Most of our audience is made up of 3-5 year olds who happily sang and danced along with Chris. His show moved along at just the right pace, keeping everyone entertained, but also leaving everyone eagerly waiting for the arrival of the surprise animal puppets that talked and were able to get even the quieter children giggling. I would definitely invite Chris back for another performance and would recommend him to anyone looking for a fun, interactive musical performer for children. Chris' typical program is a 45-minute interactive show, complete with original songs that span educational topics, childhood fun, and pure family comedy. Kids dance, participate in song activities, and laugh, laugh, laugh! As an avid ventriquist, Chris presents characters that come alive! This is a quality, family show primarily aimed at children 2-9 years old. Children can expect to find themselves fully engaged and having fun, all while their muscial and edcuational curiosities and interests are tapped into. Parent's can expect to enjoy good music and comedy, while watching their kids have a fantastic experience. Individuals booking this show can expect a quality program at an affordable cost, and a high level of flexibility and partnership from Chris Campbell. Chris Campbell is a singer, songwriter, musician, and ventriloquist. 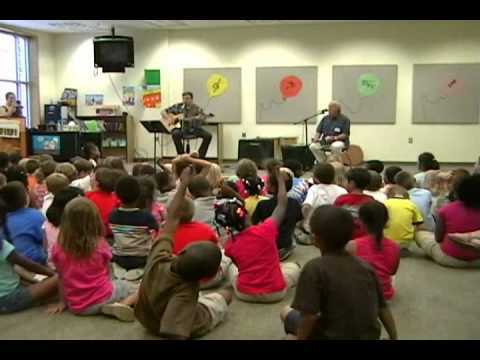 Chris performs for kids at libraries, elementary schools, preschools, child development centers, churches, and various other private events and community venues. Chris's program is upbeat and interactive, and the use of props, comedy, and motion facilitate engagement in the topic at hand. The show is tailored to ages 2-9 and is designed with the entire family in mind, creating a unique experience that both parent and child will long to repeat. Fun, entertaining, educational, and family-focused are all words commonly used to describe this show. Chris typically provides his own sound for audiences less than 300 and does not provide lighting services (rarely needed). Chris has very few specific requirements; these typically the ability to sell CD's, setup at least 1 hour prior to show, at least an 8 ft. X 8 ft. performance area, access to electricity, and ability to park a van and unload / load near venue entry. For venues providing sound, the basic requirements are 3 vocal microphones/stands, 1 instrument microphone/stand, 2 stage monitors, and ability to connect a keyboard and acoustic guitar to the PA / monitors. As always, Chris is flexible in terms of these requirements. Chris, we certainly enjoyed having you and your Dad visit us with such a fantastic program. We all thoroughly enjoyed it and I appreciated the interaction and audience involvement. That helps to keep our little ones attention. Music can play such a positive role in young ones learning abilities. Thank you for fulfilling that role in such a wonderful manner. "If you can attend one of Chris' shows, DO IT! He's one of the most talented entertainers I've ever had the pleasure of working with. His show will delight you whether you're eight or eighty. Everyone at the Chautauqua Festival was laughing and dancing. The next time he's in your town, run, don't walk, to the show!!!" "I enjoyed the time spent with you and your father talking about Staunton and families. We have placed you in our "favs". Thank you for two great programs." Everyone who attended Sunday's service was truly blessed beyond words. Everyone at VBS last night was still talking about how great the morning service was!! It was truly magical! You guys are always welcome at New Hope! 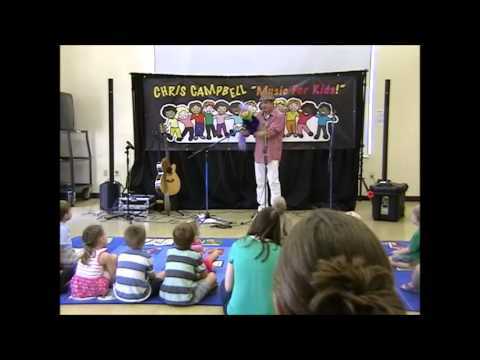 "The Middlesex County Public Library had the pleasure of presenting a performance by Chris Campbell for it's Summer Reading Program. The children enjoyed the humor and music which got them clapping and moving. Billy the Bird was a huge hit and a great singer too! Definitely would have them back again." "It was GREAT having you at Club Mom. We’d love to have you back. I will soon be booking 2014 and will send you date opportunities to select from for your next appearance. Thanks again, we’ll talk soon." "Long after the evening program at the Staunton Public Library was over, voices could be heard singing and little toes were still tapping as the refrains of music by artist, Chris Campbell, lingered in their hearts and minds. This talented musician provided a fun-filled event for young and old alike that touched on family, and country for all ages. To round out his program, using his ventriloquist skills with friend, Billy the Bird, laughter and song rang out to the beat of “When the Saints Go Marching In.” So for an evening that promises good music, family values, and sheer fun look no farther than Mr. Chris Campbell." "It was such a blessing to have Chris Campbell perform at our school! He has such a wonderful rapport with the children and his energy and enthusiasm are contagious. His lively, creative songs are sure to entertain!" "An excellent children's entertainer whose warmth and charisma turned the whole crowd, old and young alike, into personal fans by the end of his session." "Youngsters are on their feet, dancing, clapping, and singing with Chris Campbell almost the minute he first strums his guitar and sings the first note. A talented musician who, like magic, can immediately establish a disarming and fun rapport with children, Chris and his music make us all smile." 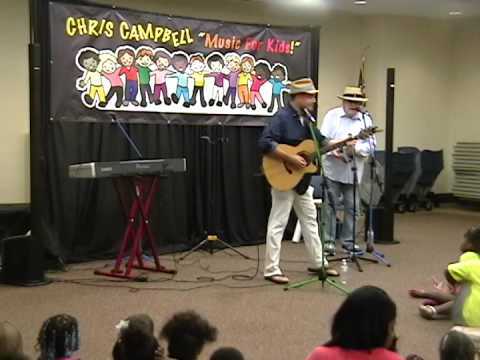 "Chris Campbell presented a children’s concert at our church carnival last summer. His concert was most enjoyable and held the attention of his young audience. Chris encouraged participation from the children and they loved being a part of his performance. If you have an opportunity to see his concert or hear his music, I am certain you will agree that Chris Campbell is an awesomely talented artist." "Chris's musical talent and personable approach with an audience of all walks of life is truly remarkable!" "On the way home from both concerts we attended, our kids wanted to know when we were going to go to another Chris Campbell concert." "Chris Campbell presents an entertaining and interactive music program that is fun for kids of all ages." “Chris’s extensive musical experience is evident throughout this children's project, but most of all, his passion for fun and family shines through on each an every song!" "I have known Chris for years and seen his love of children through his relationship with his daughter and son. Now you can see that passion expressed in songs that everyone can enjoy!"